Pre-made food delivery services are a popular option for people on-the-go or needing meals that are quick and reliable. 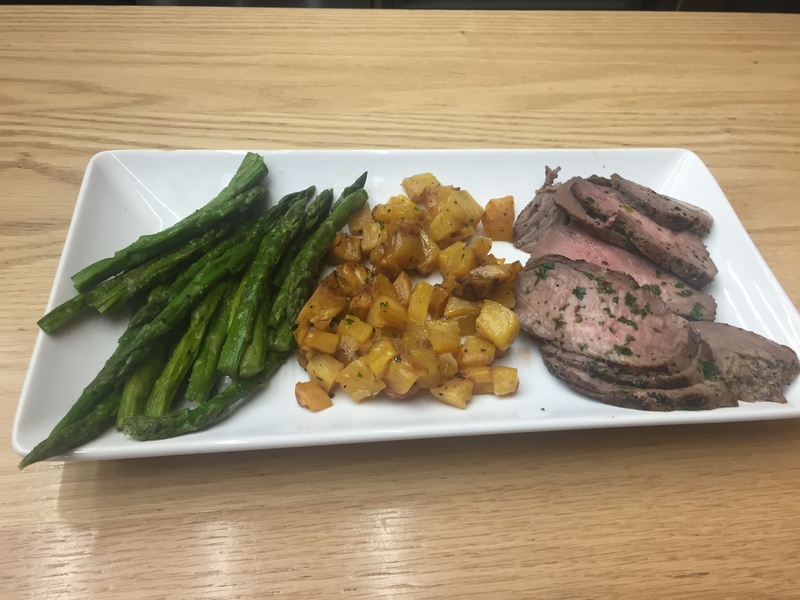 Pete’s Paleo food service focuses on providing organic and fresh ingredients in pre-cooked dishes. They’re based in San Diego and recently opened a second facility in Atlanta. Pete’s makes an effort to deliver fresh organic and locally grown ingredients with each dish. Pete’s Paleo also has a menu that changes every week, so you’re constantly getting different fresh ingredients. 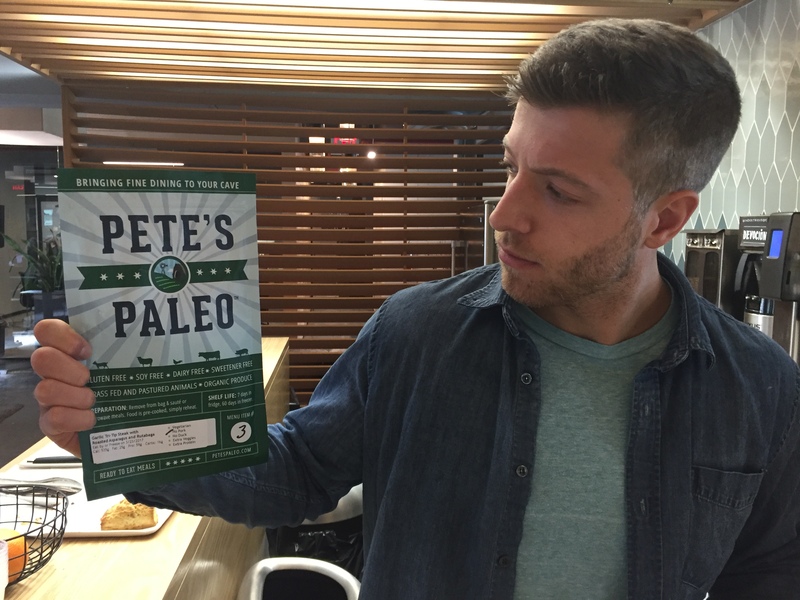 As a busy strength athlete, I was excited when we received our week’s worth of Pete’s Paleo meals. We tested each meal in multiple categories including: taste, appearance, nutrition, convenience, customizability, and price. 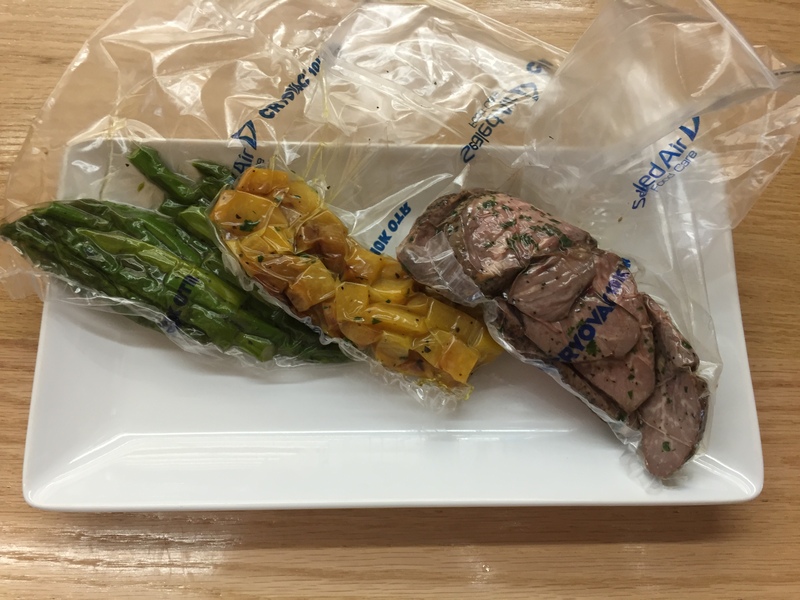 One of the main concerns I have when ordering pre-cooked meals is how they taste out of the bag or box they come in. 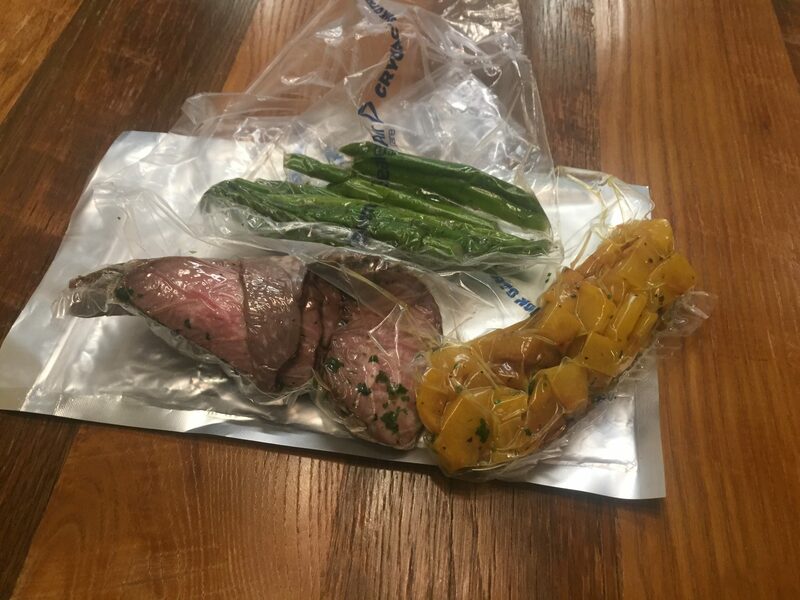 Pete’s Paleo sends their dishes in individual bags with every ingredient individually wrapped. I liked this because you can heat each ingredient accordingly to your preferences. Sometimes when foods come bunched together they can get soggy faster, as opposed to individually packed ingredients. From my experience, the meat Pete’s Paleo used had good texture and held up well. For example, the tri-tip steaks and mango glazed chicken were chewy, yet firm. They didn’t have the rubber type texture some meats can have coming out of a bag. The bag typically didn’t decrease a meat’s texture or taste, but I did find that the pork was a little more on the soft side, even though the taste was good. The curry braised pork cheeks was the softest meat I tried, which should be considered when you’re re-heating this type of meat or transporting it. The vegetables didn’t have a heavy salt taste. Sometimes pre-cooked vegetables can have a heavy salt taste, which suggest they were previously frozen. I only found one vegetable that had a salty taste, and that was the sautéed spinach. Other vegetables like the carrots, roasted asparagus, and blanched broccoli tasted fresh with a firm texture. Out of all the vegetables I tried, my favorite was the roasted carrots. Pete’s carrots had a fresh taste and a good balance of firm and softness. The carbohydrate aspect of each meal was the most likely to be inconsistent. Each ingredient had varied levels of consistency and texture, such as the sweet potatoes, spaghetti squash, and rutabaga. Each ingredient was tasty, but for a picky eater who cares about consistency, then foods like the rutabaga and sweet potatoes could be an issue. The rutabaga and sweet potatoes are pre-cooked and have to be re-heated, so keep that in mind if you’re worried about a food’s texture when prepping your meal. Texture aside, they taste fresh, which made up for their sometimes soft consistency. 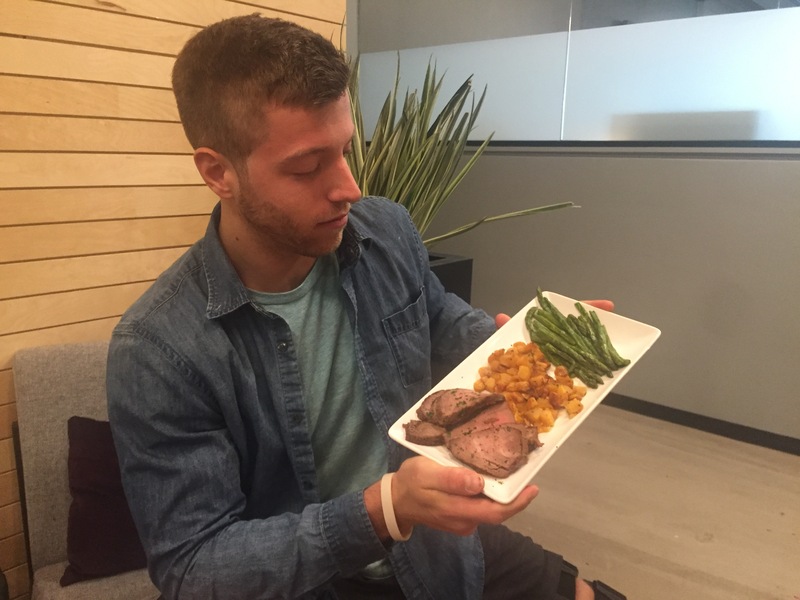 I was impressed with how Pete’s Paleo meals plated after coming out of a bag. Some meals arrive and they look like a pile of ingredients that are hard to differentiate from each other. The bag the dish arrives in is small and easily portable, which is a big plus. One issue you can run into with this style of meal is how the ingredients hold up in bags. I tested this one day by coming into work and putting a meal in my backpack. I did this to test how it appeared after my morning commute. I found that this was completely dependent on the ingredient. Softer ingredients such as potatoes and pork were more likely to squish and become a little discombobulated. If your goal is to have a visually pleasing meal, then be conscious of your method of storage during transportation. Other than that aspect, I thought each meal looked appetizing when plated after both a sauté or microwave prep. 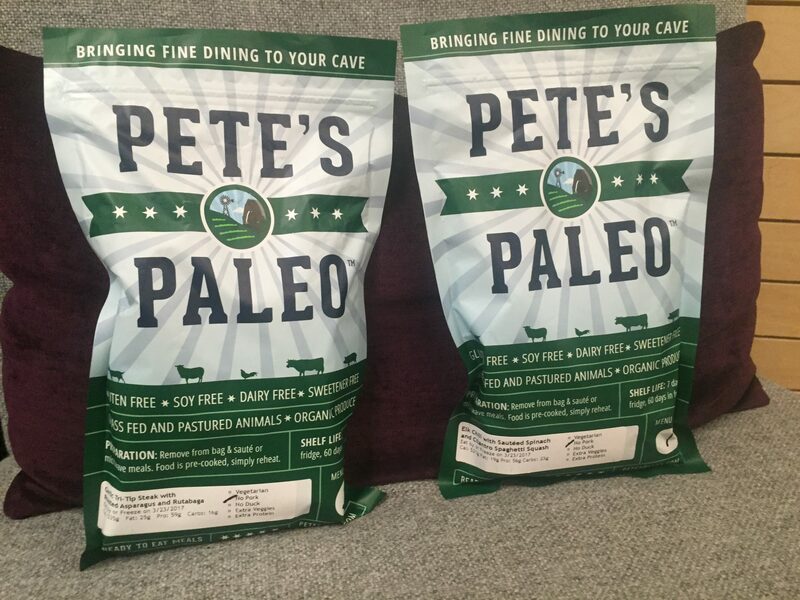 One thing I like about Pete’s Paleo is how easy it is to find their meal’s nutrition. On the bag you’re provided with the ingredients, macronutrients, and calorie allotment. When you’re on-the-go the last thing you want to focus on is searching for nutrition information. Every meal clearly states what you’re getting and how much is in each dish. I did find one downfall to Pete’s Paleo’s nutrition, and that has to do with the changing menu. If you’re someone who strives for consistency and wants the same thing day in and day out, then you’ll be hard pressed to find that with Pete’s. I found that meals varied in calorie allotments from 417-923, which were dependent on their ingredients. The pork meals were often higher in calories, which could be an issue for those dieting and needing lower or consistent caloric meals. As mentioned briefly above, calorie allotments vary from meal to meal. Similar to how the menu changes, so do the meal’s caloric totals. This could be an issue for those who need a consistent caloric allotment each and is counting on pre-cooked meals to do so. Meals that include chicken and lean meats like the mango glazed chicken (417 calories) and elk chili (513 calories) will be lower in caloric total. On the opposite side of the spectrum, meals that include fattier meat were much higher in calories like the braised brisket (702 calories) and the garlic lamb shoulder (923 calories). The price varied depending on your needs. If you wanted the lowest meal plan option (five meals), then you can expect to pay between $115-123, which varied between having a subscription and not. For the largest meal plan or family size (five meals with four portion servings), then you can expect to pay between $304-324, again pending on a subscription and not. Below are Pete’s Paleo price tiers for each meal option. This price was high compared to other paleo and health conscious food delivery services, but it could justified if your main concern is organic food. For those who want healthy food options without additives, soy, gluten, and dairy, then the price could make a little more sense. You’re paying a little extra for the quality ingredients each dish provides. The ordering process is pretty simple. You go to the Pete’s Paleo website and choose the meal place you desire. If you order by Monday, then you’ll receive your next week’s meals by Friday. Order that are placed after Monday will arrive the following week with the subsequent weekly meals. This is cool because there was never a question as to when I was getting my meals if I followed their recommended timeline. In addition, most orders have shipping already included, so you don’t have to fret having an added fee upon purchase. Pete’s Paleo ships via UPS air/ground depending on your location, and state that every package that includes meats (bacon) and meal plans arrives within 1-2 days. This is assuming you’ve placed your order within the above recommended timeline. They also offer a Next Day Air Saver option if you’re in need of your order by the next day. Like other food services, they also offer a subscription service, which is pretty convenient if you’re committed to Pete’s weekly dishes. Their subscription saves you money in the long run, as opposed to one-time purchases with prices highlighted above. The box the meals arrive in is pretty large, so keep that in mind when selecting the address you want the meals to be dropped off at. When selecting meal plans from Pete’s Paleo you’ll see they also offer a vegetarian option. This option comes with 10-meals and has a rotating menu, much like the meat oriented meals. The pricing is most comparable to the regular five-meal option and pricing starts at $121.26 for subscribers and $129.00 for one-time purchases. The meal customizability was one of my main concerns with Pete’s Paleo. Since the menu changes every week, you’ll be getting new foods with every dish. This is cool, but they leave very little room when selecting what these meals entail. They offer you a few questions such as, do you want pork, do you want duck, or do you want double protein. Other than those questions, there’s not a whole lot of customizability with their service. If you’re a picky eater or calculated dieter, then you should keep this in mind. You’ll have to account for inconsistent macronutrients and caloric totals. On the flip side, the changing menu could technically be the definition of customizability, but from the cook’s perspective. You’ll be ensured you’re getting tasty, different dishes each meal, so you won’t dread eating the same thing everyday. Is Pete’s Good for Weight Loss? This is question that’s completely dependent on your goals and your needs. Pete’s meals include organic and locally grown options, which can help improve the food quality of a diet, but not necessarily weight loss. In addition, with the wide variances of caloric totals some might find it tough to maintain consistency with these meals. However, this might not be an issue for some who want Pete’s quality and have the ability to manipulate other aspects of their diet to accommodate the weekly changing menu. 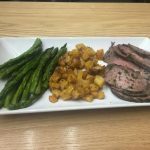 Pete’s Paleo is a good option for those looking for pre-cooked meals that are composed with organic and locally grown ingredients. Also, their changing weekly menu is a cool aspect that adds variety to every dish they create. I did find a few issues for those who are concerned about caloric totals and are picky eaters. The wide variety of food options could be an issue for these two populations, and for those on a budget, as the food is generally more expensive than other fitness-focused meal delivery services. All in all, I liked how the menu changed weekly and how each meal didn’t taste overly salty or preserved.